Turn to us when only the most experienced interior painters will do for your project. 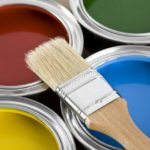 It can be quite surprising how much of a transformation you can achieve in your Apex, North Carolina home with the help of interior painters. 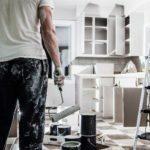 Here at Prep-Rite Painting, we offer full-service painting, including drywall repair, textured ceiling removal, wallpaper removal, and cabinet painting. We furnish the equipment and materials needed to complete your project unless you direct us otherwise. We work with homeowners as well as property management staff in charge of residential rental and commercial properties. We warrant that the work we do will be free of defect caused by our employee or the materials we furnished for a period of two years, so you can have peace of mind you’ll enjoy lasting results. We use only the most environmentally friendly, top-quality products on the market today. What sets us apart from other interior painters is our meticulous prep work. We take our name seriously because we know that great results cannot be achieved if we were to cut corners during any phase of the project. We have nearly two decades of experience and a stellar reputation in the community – feel free to check our Angie’s List and BBB rating! We look forward to building a lasting relationship with our customers. Give us a call today with any questions you may have or to schedule an appointment to get a proposal for the project you have in mind. We promise you won’t be disappointed! At Prep-Rite Painting, our interior painters proudly serve Apex, Cary, Holly Springs, Fuquay Varina, Chapel Hill, and Raleigh North Carolina.